What's Poppin Tonight! 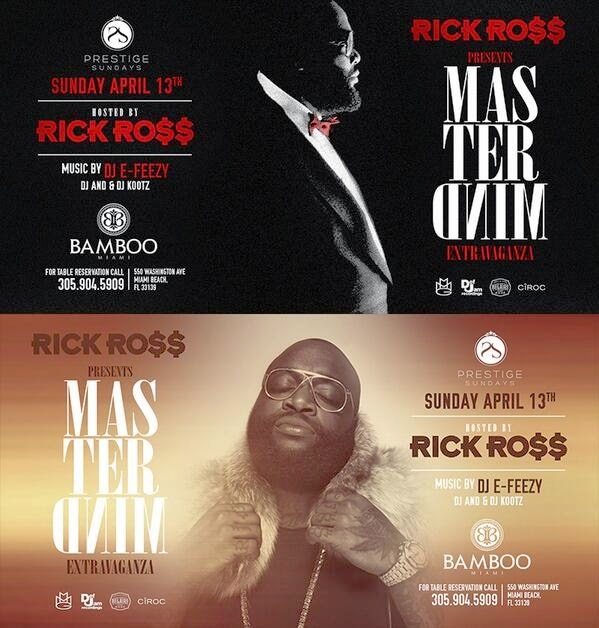 Bamboo Miami and PRESTIGE SUNDAYS presents MasterMind Extravaganza Hosted by Rick Ross + More at Bamboo Miami ~ Phresh Hott New! Bamboo Miami and PRESTIGE SUNDAYS presents MasterMind Extravaganza Hosted by Rick Ross & Model Iesha Marie + More at Bamboo Miami Beach. Music by DJ E-Feezy, DJ Kootz & More!